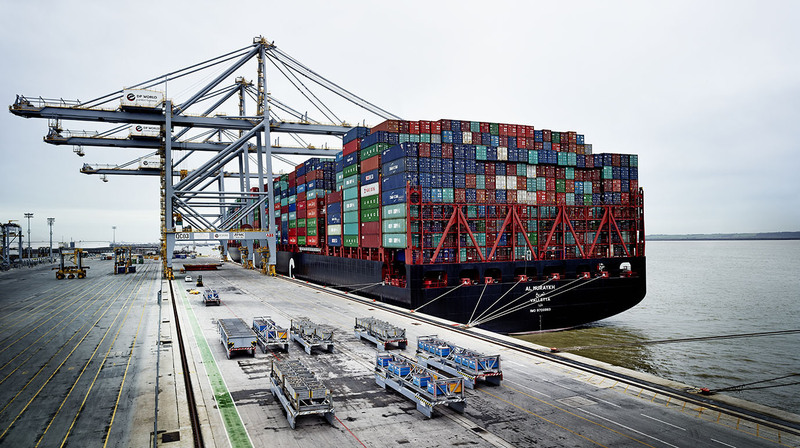 One of the world’s largest container ships arrived at the DP World London Gateway Port on Saturday, carrying with it a record load of 18,601 TEU. Al Muraykh, which is owned by the United Arab Shipping Company (UASC), measures 400 metres in length and can carry up to 18,800 containers. Travelling from Malaysia, the ship unloaded 3,800 containers at the London Gateway Port. The ship’s size and capability in transporting large volumes to the UK means that the ‘average CO2 output dropped 60 per cent less than normal,’ leading to the vessel being dubbed the “greenest vessel” on the planet by UASC’s chief operating officer.